The no. 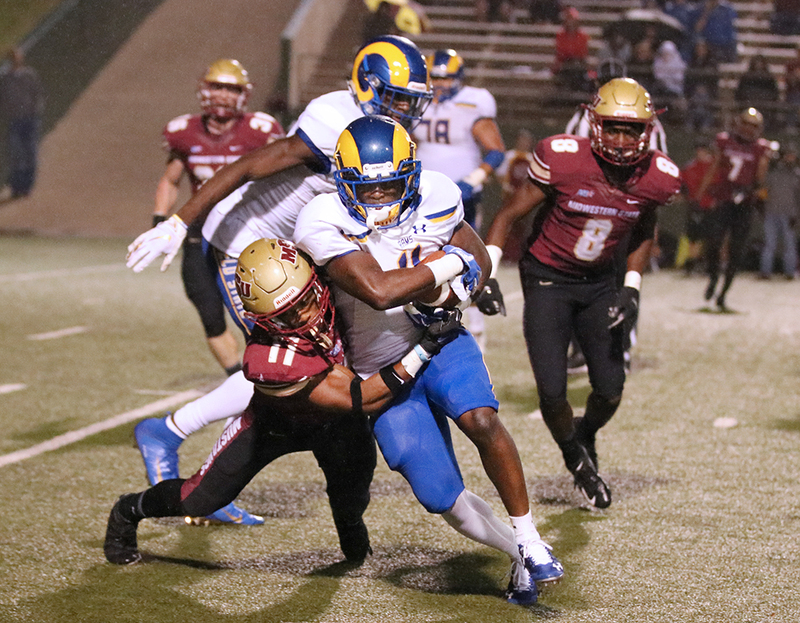 5 ranked football team, according to American Football Coaches’ Association Top 25, continues to defend its title of being Lonestar Conference champions by conquering Angelo State, 57-36 and covering a total of 654 yards at Memorial Stadium Sept. 22. The team led the first half of the game 28-17. With 53 seconds left in the first half, wide receiver Kylan Harrison made a touchdown to keep the lead through halftime. In addition, there are players who have pre-game rituals, their way to prepare for the game. “I know some meditate, some sleep but personally I do push-ups,” Ken Fagan’s, offensive lineman and criminal justice junior, said. Sir’Vell Ford, team captain and criminal justice senior, said his ritual includes the whole team. “Before every game, I normally gather the team up and hype them up with words of wisdom to get everyone pumped,” Ford said. The weather began to take form after the first half of the game rain began to fall in the form of light mist. 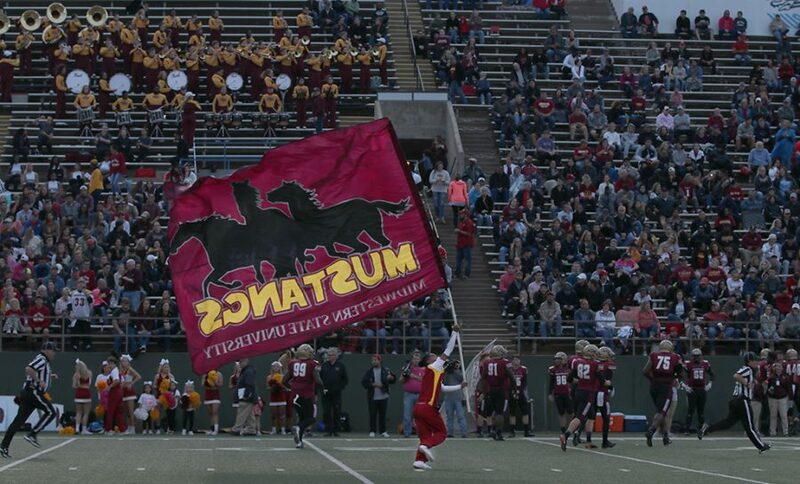 “Rain, sleet or snow, Mustangs on go,” Ken Fagan said. The team is undefeated this season, keeping its record at a clean 4-0. “We have a great season ahead,” Marcus Wilkerson, defensive back and computer science junior, said. Next game is at Eastern New Mexico, Oct. 5 at 8 p.m.